One in three Chinese children with epilepsy reduced their rate of seizures when they tried the ketogenic diet, a study conducted in Shenzhen has shown. Dr Suo Chenqu and co-researchers at the Shenzhen Children's Hospital conducted a trial of the high-fat, low-carbohydrate dietdiet which has been used to treat refractory epilepsy in childhood internationally. Between 2004 and 2011, the researchers assessed the diet in 317 children with refractory epilepsy and followed them up for at least a year. After 3, 6 and 12 months, 63%, 42% and 24% of children remained on the diet, and at these times 35%, 26% and 19% of children respectively showed at least a 50% seizure reduction. These improvements included 21%, 14% and 11% of children who remained seizure free while on the diet. The researchers found that the starting age for the diet influenced efficacy. Children aged over ten when they started the ketogenic diet showed a worse response than the under 10 age group. Other variables such as duration of epilepsy at the start of the diet, seizure types and aetiologies showed no significant influence on efficacy. Outcome was measured by seizure frequencies before and after the diet, change in anticonvulsant use and adverse effects. Common complications of the diet included GI disturbance, food refusal and hypoproteinaemia. 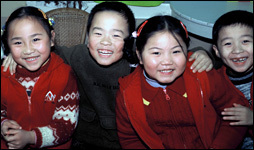 "The ketogenic diet is a safe and efficacious therapy for intractable childhood epilepsy in Chinese children," the researchers conclude.